Being my first Katana I can't say I'm an expert on such things, but I have collected knives for many years and know a good product when I see one. 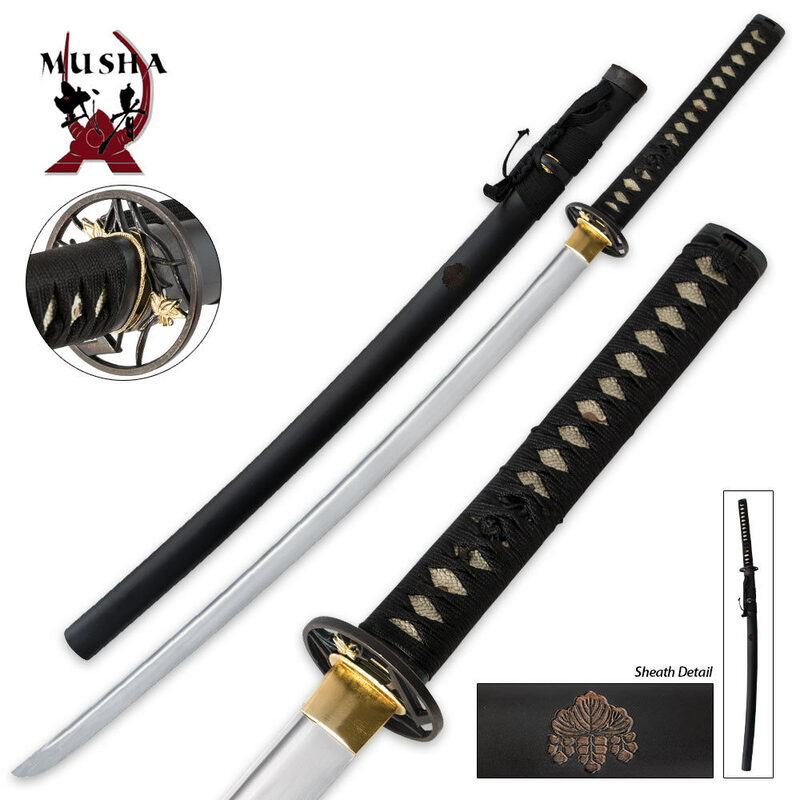 I've been wanting to buy a katana for a while now and have been actively searching for a good sword to start with, but without over spending. This was it! I truly love the appearance and feeling of this sword. After getting it I started Kendo and find the weight and balance perfect for my needs. This is a truly beautiful sword and looks to be finely crafted as either a show piece or a useful weapon if ever needed as such. A perfect starter sword for anyone looking to start collecting swords, practicing Kendo or just chopping things up for fun. I have several katanas. Most are Musha. But this is the first one I have ever received with a fuller but no hamon on the blade. It makes the entire sword look more genuine. The handle is wrapped nice and tight. The scabbard is nice and not damaged in any way. Plus, the sword fits into it tight enough to where it doesn't fall out when held upside down. 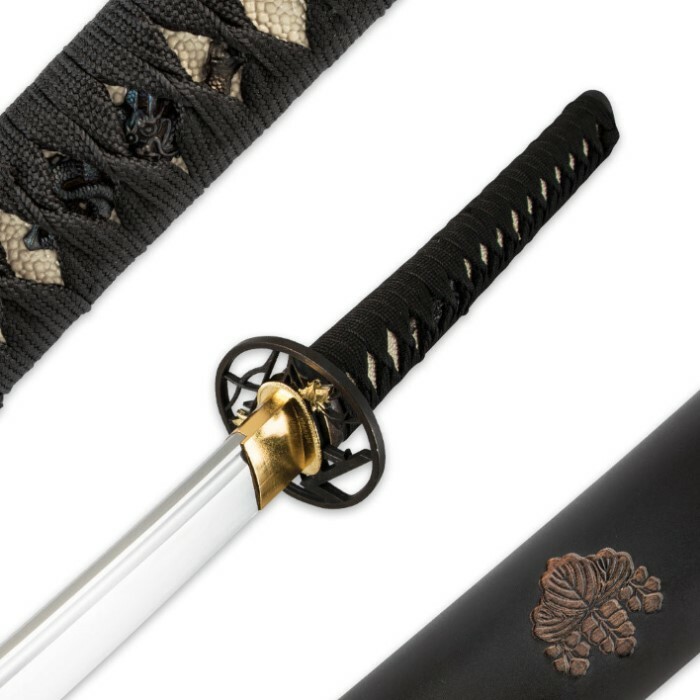 Lastly, this sword has a beautiful tsuba unlike any other katana I own. Very unique piece overall. Musha never lets me down. Thanks BudK! It is could in every way but is not that sharp but can still cut a 2 liter bottle easily all you need to do is sharpen it and you got a quality sword. It is everything the description says it is.It not that sharp but can still cut a 2 liter bottle, it is a quality sword. I would recommend buying this sword. I have bought some pretty inferior swords for more money.This is a great sword,It is way cooler than the description states. For this price I highly recommend. I dont think you will be disapointed. It is very sharp.I am confident in its ability. Decent sword but,the chord started fraying for no reason, the handle started splitting and it started falling apart . no, I haven't used it. I swung it around a little, to get the feel of it but, that's all. I bought this weapon for my brother a month or so ago along with another samurai special. I can honestly say I'm trueswords.com's BIGGEST fan and will continue buying from them til I drop. That being said, I give this sword 3 stars because it was way thinner, lighter and weaker than my Sam special. After a few water bottles, the blade began to warp and we are adept if not expert swordsmen. I would recommend another Sam special unless the one I got was faulty, otherwise perfect beginner weapon. Sharp, the build was sturdy and went into the days perfectly. Only complain was the blade but for the price who am I to complain. Very very nice, I was suprised to see how nicely it was crafted, and boxed. To me it was well worth the money and I will bye more of these blades in the future.